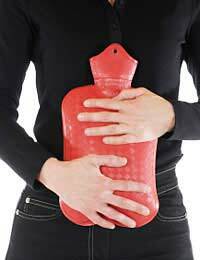 Like much of the female population, Suzanne suffered from Pre-Menstrual Syndrome – and she suffered badly. In the 2 weeks leading up to her period, she suffered a series of symptoms – everything from terrible bloating and feeling constantly exhausted to aching joins and muscles. She also struggled with mood swings, often leading to intense emotional outbursts which shocked and upset her friends, colleagues and family and embarrassed her when she remembered them afterwards. Suzanne had tried all the usual herbal supplements and conventional medicines that were safe to take with little effect and she was really at her wits end. Then while attending a friend’s housewarming party, she met Emily, who confessed that she also used to suffer from terrible PMS. However, Emily had found a solution. But as Emily told her more, Suzanne slowly became intrigued. For example, she learnt that in one study on women with severe PMS, they showed a 58% improvement after meditating daily for 5 months. Furthermore, she learnt that meditating didn’t have to take a “spiritual” form, if she didn’t want it to – nor did it have to follow any particular religious doctrine. In fact, current research suggests that meditating encourages an optimistic and positive approach to life and optimistic thoughts, in turn, help women suffering from PMS to put things in perspective. This means that they learn not to just focus on the “bad times” but also to recognise and enjoy the many weeks in their lives when they are not affected by PMS and see that PMS is just one aspect of their lives. Of course, the real test came in a few weeks time when Suzanne’s next period was due and she was pleasantly surprised to find that her PMS did seem to better – or rather, she was able to deal with her symptoms better and therefore, they didn’t seem to affect her so much. Since then, Suzanne has been meditating regularly and has found that it has helped her enormously in coping with her PMS. Now those dreaded 2 weeks are more of a slight nuisance than the huge nightmare they were previously and Suzanne is delighted that she’s found a simple, drug-free solution to her problem.